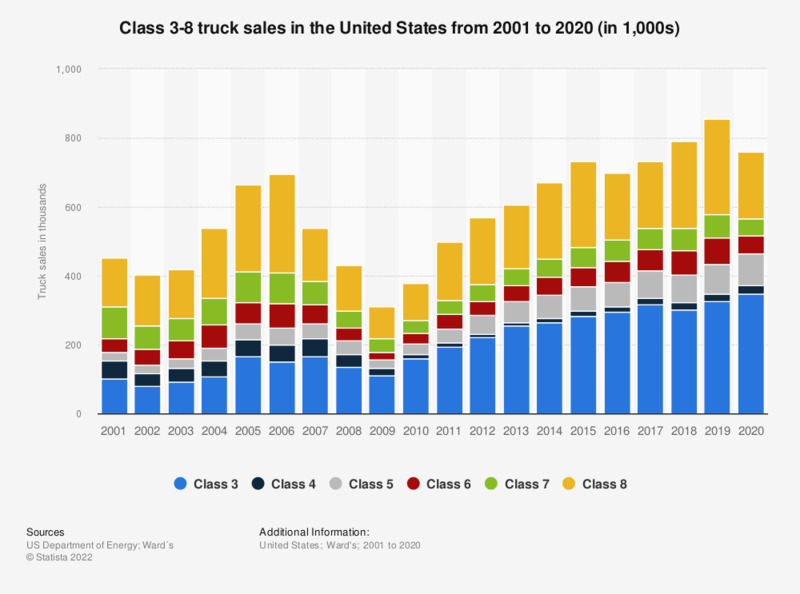 This statistic represents Class 3-8 truck sales in the U.S. between 2001 and 2017. In 2017, around 317,000 Class 3 trucks were sold in the United States. The Class 3 truck gross vehicle weight rating is between 10,001 to 14,000 pounds.